People seeking asylum in Australia face a range of complex issues, including homelessness, food insecurity and social isolation. A lack of digital skills can also be a major barrier for people seeking asylum who are looking for work or trying to access essential services online. This year, Infoxchange will bring digital skills training to people seeking asylum in Australia through a partnership with the Asylum Seeker Resource Centre (ASRC). The ASRC is an independent not-for-profit organisation whose programs support and empower people seeking asylum. As a delivery partner of Digital Springboard, a program by Infoxchange and Google, the ASRC will deliver free courses that aim to give people seeking asylum the digital skills they need for work and life. Abiola Ajetomobi from the ASRC Innovation Hub says that Digital Springboard is an important addition to ASRC’s services. “We know very well that a critical gap for people seeking asylum is digital literacy,” says Abiola. ASRC staff with other Digital Springboard partners. Train the Trainer event, November 2018. ASRC currently supports over 3000 people annually who are seeking asylum, from when they first arrive and need help talking over the visa process, to navigating accommodation, finding material aid and legal assistance. Joining as a Digital Springboard partner means that the ASRC can further enhance their work in meeting the critical unmet needs of people seeking asylum. “We’re thrilled to be working with the ASRC to help people seeking asylum grow their digital skills and open up job opportunities in Australia,” says Infoxchange Social Innovation and Digital Inclusion Manager Jess Perrin. Abiola says that Digital Springboard offers important capacity-building opportunities for the ASRC’s staff and volunteers to upskill their members around digital skills. “I thought ‘wow, what a fantastic, innovative project’,” she says. The ASRC will begin delivering courses in February 2019. We’re inviting community organisations to partner with us to deliver Digital Springboard courses. 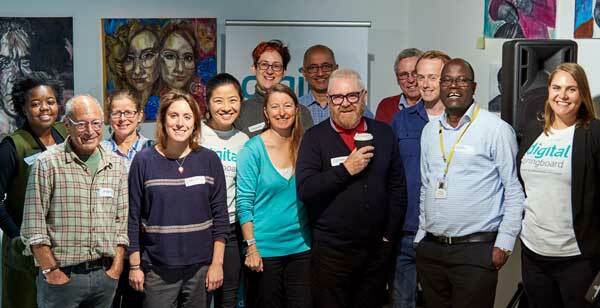 By coming on board as a delivery partner and offering Digital Springboard courses, you too can help improve the digital skills of your local community. Find out more on the Digital Springboard website.